Stephen King is an industry within the horror genre. Any book, article, film or television show baring his name comes with a near automatic seal of approval in the minds of horror fans (but the less said about Dreamcatcher the better). For any TV watcher in the 90s, the Stephen King miniseries offered an iconic introduction or advancement of their interests in genre storytelling. The miniseries were hyped with spooky commercials and behind-the-scenes specials that promised untold terrors and pure adaptations of Kings work. In the expansive worlds of these miniseries, suspense was as around every corner as the next commercial break. The horrifying, outlandish storytelling captured the minds of viewers who sought it out or idily flipped through the channels, wondering why Balki Bartokomous was being such a douche. For those that remember the glory days of must-see TV, the Stephen King Miniseries became its own enterprise. Catching the twisted, macabre and sometimes just straight-up weird television events was a way to seek out masterful or ambitious horror in a larger community of prime-time television. These series also functioned as recruitment to the genre by offering glimpses of a world that some had not quite ventured into yet, but were instantly intrigued by. Airing on multiple networks over three decades, the Stephen King miniseriesin whatever form they tookbecame an iconic emblem of horror, especially in the 1990s when the genre was suffering from an identity crisis by venturing into the mainstream under the watchful eye of the aptly named King. The first step into the made-for-television adaptation of Kings work followed on the heels of the critical and commercial success of Brian De Palmas Carrie (1976). After Carries success, the film industry was keen to keep the machine churning and optioned Kings next book, Salems Lot, the story of a writer who returns to his hometown in Maine only to discover it is being taken over by vampires. While a capsule synopsis may never do the gargantuan novel justice, neither could a feature film. The film stalled in pre-production when the filmmakers felt they couldnt bring the world to life in a 90-minute span. George A. Romero was first attached direct a feature film version for Warner Brothers. However, the announcements of John Badham’s Dracula (1979) and Werner Herzog’s Nosferatu the Vampyre (1979) scared them off and executives decided to turn it into a TV miniseries. Coming off of a string of horror hits like Night of the Living Dead (1968), The Crazies (1973) and Dawn of the Dead (1978), Romero was an inspired choice but left the project feeling the restrictions on violence and gore would damage the film in a television format. With Romero out, producers turned to one of the most scandalous directors who helped popularize Grindhouse Cinema in the public consciousness, Tobe Hooper. Hooper was on the lookout for a project that would sustain his career, which had faltered after the release of his cult-classic Texas Chain Saw Massacre (1974). Even within the expansive miniseries format, certain character and subplot elements of Salems Lot were cut such as characters and subplots. One of the most pervasive themes in Kings writing is horror in the small town, with the author focused on multiple residents and their varied experiences of trauma or horror. These stories were easily suited to the miniseries as the world of the story could exist easily in a longer running time without too many edits. 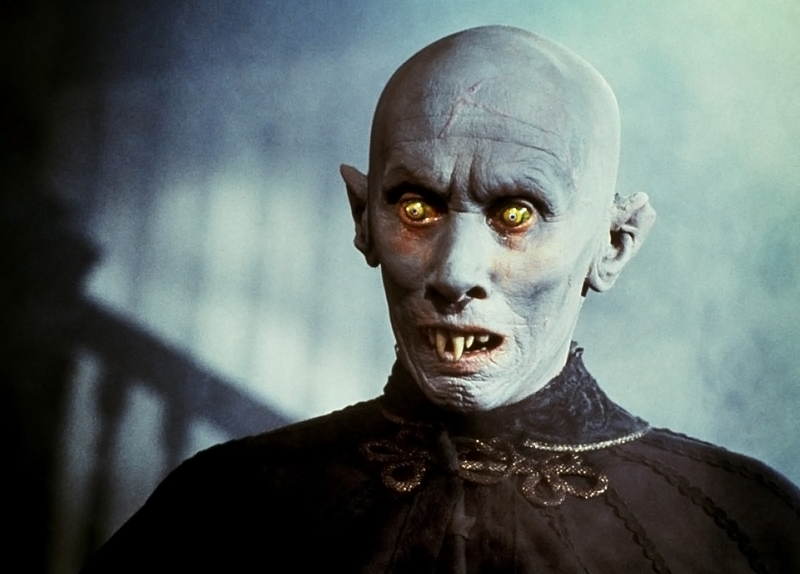 Arguably the biggest change: Salems Lot transforms Kurt Barlow from an erudite vampire in the vein of Dracula to a full-fledged Nosferatulike monster, creating a more menacing and frightening presence that has endured in the minds of horror fans. Salems Lot premiered to strong ratings inciting talk of a potential television series which never came to fruition. A sequel was made, A Return to Salems Lot (1987), remembered in the larger annals of popular culture as the acting debut of Tara Reid. To this day, Hoopers Salems Lot is a revered and beloved addition to the canon of Stephen King adaptations. 1990 was a banner year for coulrophobia. 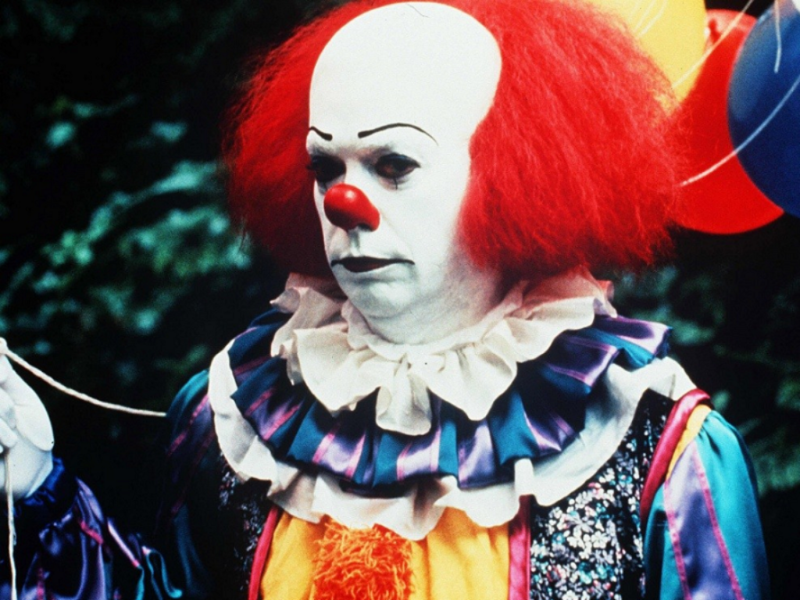 When ABC unleashed its two-part miniseries It on audiences, few were prepared for the menacing visage of Pennywise the Dancing Clown (Tim Curry) on their television series. It takes place in the fictional town of Derry, Maine (a place King would return to time and again in his fictional universe) and follows a group of kids known as The Losers Club who are terrorized by Pennywise. The Losers Club manages to defeat Pennywise, however they agree to return to their hometown should he ever appear again. Like any good interdimensional shape-shifting entity, Pennywise returns decades later and it is up to the grown-up Losers Club to stop him. It earned solid ratings over the two Sundays it aired in 1990, with both parts ranking in the top five programs watched on their respective nights. Though Part 2 ultimately ranked higher, many critics felt it relied too much on the melodramatic lives of the characters as adults, while Part 1 generated a large amount of tension with its strong cast of young actors. Tim Currys portrayal of Pennywise was universally praised, cementing the character as one of the most terrifying icons of horror. It utilizes many of the same elements as Salems Lot to terrorize. Due to network censors, little to no violence could actually be shown. Scenes instead play out with Pennywise luring the children of Derry into the sewers. They are never seen again, leaving an indelible mark in the minds of countless viewers.